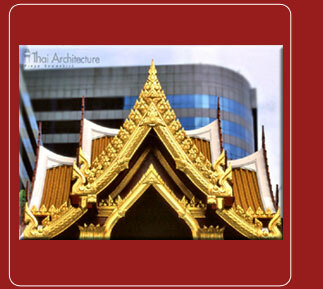 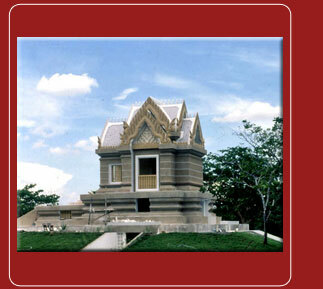 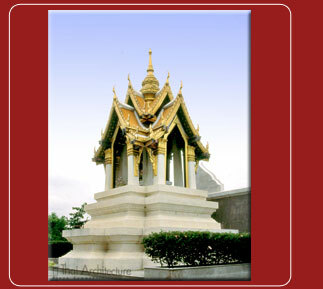 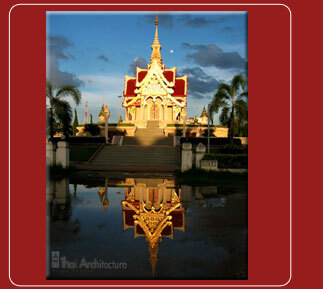 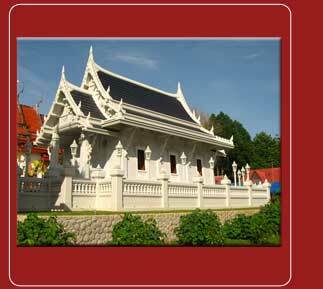 Due to the Thais’ belief in sacred spirituality, small miniature houses are built and devoted to those holy spirits. 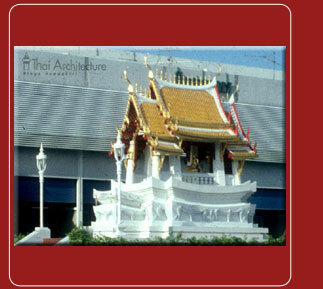 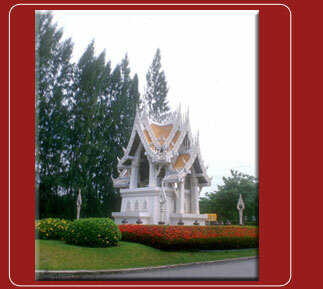 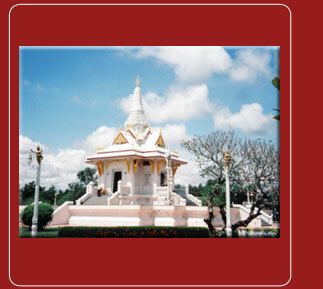 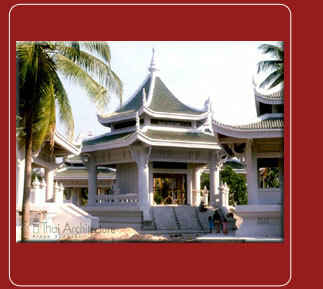 Thais believe that the holy spirits stay in the house and protect and guard the members in the family from evils and dangers. 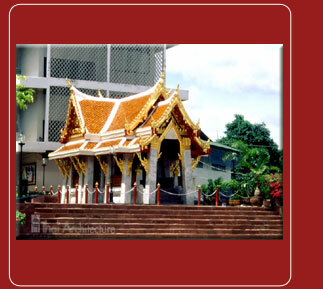 Moreover, the holy spirits bring prosperity, success and good luck, therefore, shrines can also be seen at business buildings, not only at residential buildings. 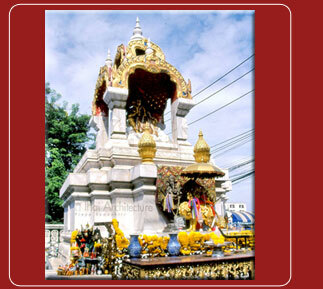 There are many kinds of shrine, built and devoted to different beliefs, for example, shrine for household holy spirit who protects the house, shrine for city holy spirit who guards the city, shrine for Buddha image, shrine for Shiva God, shine for ancestors’ spirits. 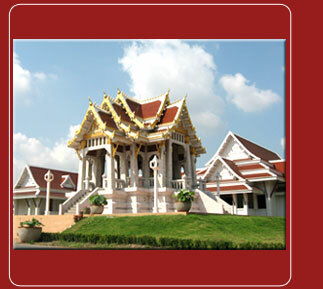 Briefly, shrine is a centre for faith of the people who live nearby.